When you live in the southern areas, you will know that there isn’t a lot of seasonality. Normally most people are wearing shorts and flip-flops during December. 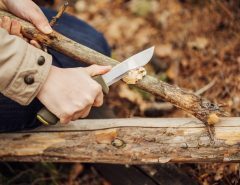 Whenever the air starts to turn cool, people begin to get ready for those fall camping trips and that is where a fixed blade knife comes in handy. 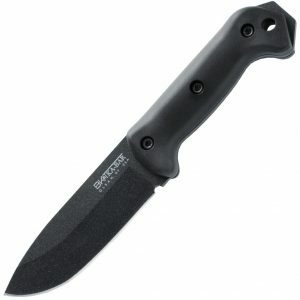 We will be covering the Becker BK2 by Ka-Bar. 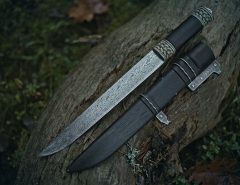 This blade is made within the USA by Ka-Bar by a true Renaissance man, Ethan Becker. 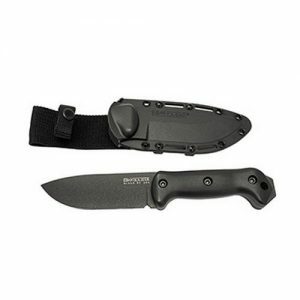 The BK2 is a widely accepted blade as a go to for camping or survival blade for many years now. I am not sure why I am just now purchasing this blade. 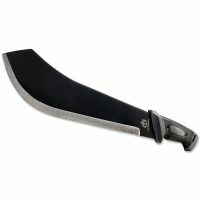 There are a lot of blades that I would love to own, but I just have not found the time to purchase them. I can officially scratch the BK2 off of the list. 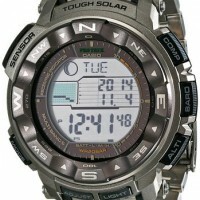 This is one that I love as I have put it through some harsh use and I am glade that it was a purchase that I made in then end. 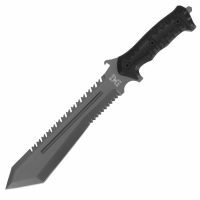 The BK2 is almost 11 inches long and has a 5-inch blade. 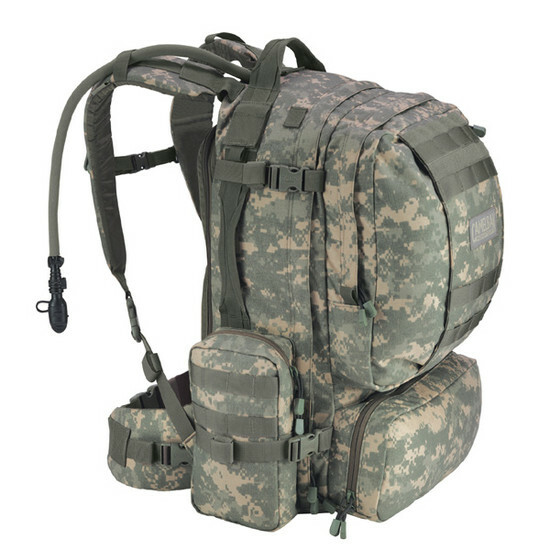 It only weighs 16 ounces so it is quite lightweight for the use that I put it through. The BK2 is actually a pretty chunky type of blade and the pictures of it really did not do it justice at all, as the proportions actually suggest that the knife is smaller than what it is. This was something that I was quite surprised about. 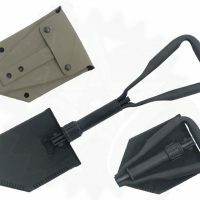 This is a great tool for a camp site, back yard use, or in your truck, but it isn’t something that you would want to constantly carry for miles and miles when you are out hiking. 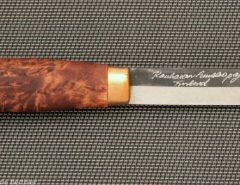 The blade is 6.35 mm thick of high carbon steel. For whatever reason, whenever I ordered the knife, I thought it would be interesting to compare it to my other blades. It turned out that the thickness of the blade is almost comical. When compared to my other blades, they may have been made out of aluminum foil when I compared the thickness to the BK2.The BK2 has a classic drop point shape that comes with a high flat grind with a pretty sturdy tip. The blade is also powder coated and it is heavily textured. The coating actually provides a bit of rolling resistance when you are trying to cut into things until it manages to get smoothed down when being used. The BK2 is pretty interesting when it comes to accomplishing different things with a small footprint. It is great for splitting wood and I was able to successfully prepare a stack of wood for a few bonfires. I was actually able to split 4 inch diameter logs easily. You can even carve with this blade. I managed to use the BK2 to whittle some shavings and tinder to start my bonfire, and even carve a few stakes that I used for cooking. Even though the blade is a bit thick and a little clumsy in my hands when it came to serious carving, I was still able to get the job done the first time around. Another great thing is that the BK2 is a great chopper as a well considering the size. This is a shorter knife, so it doesn’t chop like a big fixed blade or axe, but if you have some small chopping that needs to be done, it can do that. For instance, I had to chunk up some large and quite frozen sardines for a fish trap that I had been using. 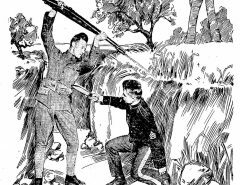 The BK2 cut right through them easily. It is for these reason that the BK2 is great for camp chores such as prepping food, building fires, and any other odd job around the camp site where you need to use a sharp object that could come in quite handy. The only main downside is that the BK2 doesn’t really excel at anything. 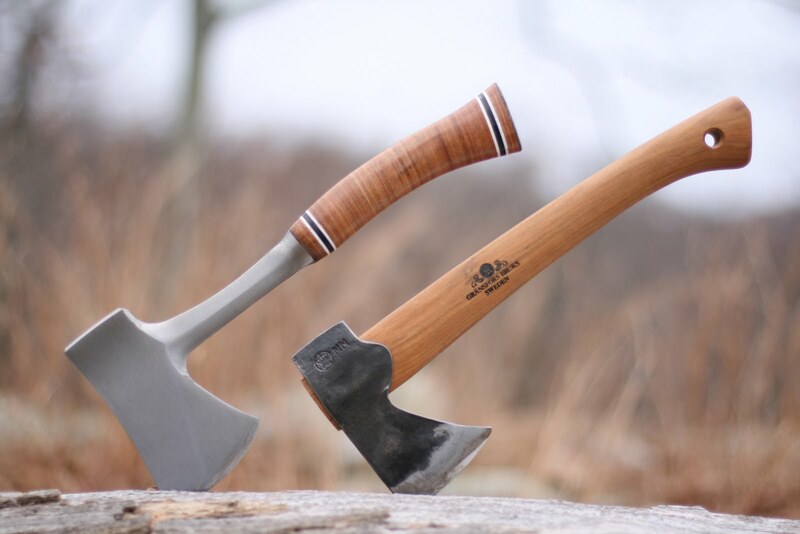 If you need an ultra fine carving blade or a dedicated chopper, then look elsewhere. 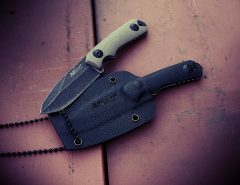 If you want a tough, do everything around the campsite type of blade, then the BK2 is a really great selection. 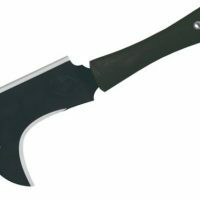 Check out my article on different types of knives. 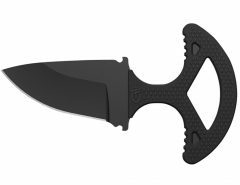 The BK2 has a high density plastic handle that is over a full tang (check out my article on knife tangs). This is a super basic type of handle design but it is great for a workhorse type of blade. Ka-Bar spent time with Becker to really get this handle shape to be right, which is why you find it on all of t Becker’s blades. The handle material is lightweight but pretty humble, and quite tough. The finish work that is on the handle is pretty nice as well. There aren’t any sharp edges and all of the hardware is really sunk deep down into the handle. 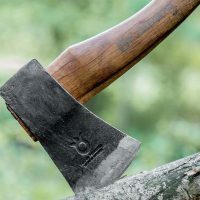 There is also an oversized lanyard hole that really rounds everything out on a generous exposed pommel that you can use to crush or hammer things around your camp site. This is a pretty clean and super high functional handle design. It is really well made. 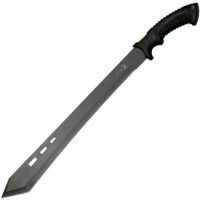 This blade comes with a nylon and plastic sheath. 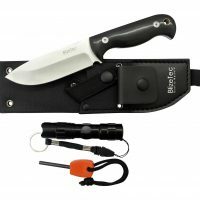 The sheath is really simple, sturdy and even lightweight. 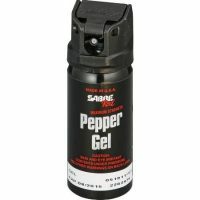 It has great retention, and yields a very great snapping sound whenever you put the knife in place. There isn’t blade rattling at all and I am not worried about my blade coming out of the sheath, not to mention there is also a drain hole. The BK2 is a really great knife, especially when you start to consider that they sell for less than $100. This is a great high quality blade for the price. It has a simple design, high quality materials, and a high level of finish which makes the BK2 great. Not to mention that it actually works. 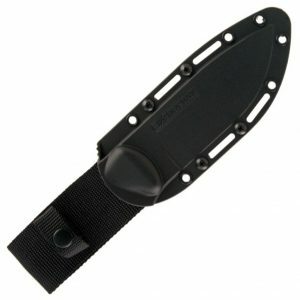 The handle is comfortable, the sheath is functional and lightweight and it is a product of the USA. This is a highly recommended product for anyone who needs a use all type of blade.